Job Created, Modified or Deleted - Trigger when a new job is created, modified or deleted. Contact Created, Modified or Deleted - Trigger when a new contact is created, modified or deleted. Activity Created - Trigger when a new activity is created. Find Contact by Email - Search for a JobNimbus contact by Email. Find Contact by ID - Search for a JobNimbus contact by ID. Create Attachment - Creates a new attachment. 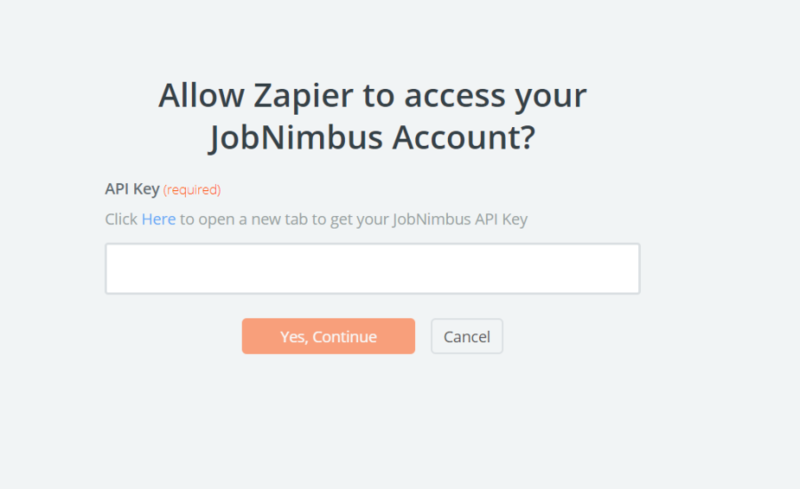 When you start creating a JobNimbus Zap, you will be asked to connect your JobNimbus account. Next, you'll be asked to enter your JobNimbus API key. 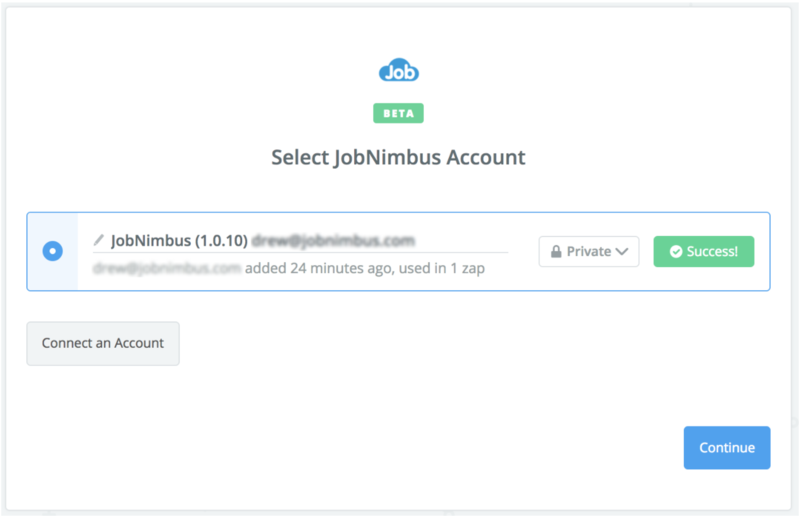 Log into your JobNimbus account. Enter a description and select the Admin profile. 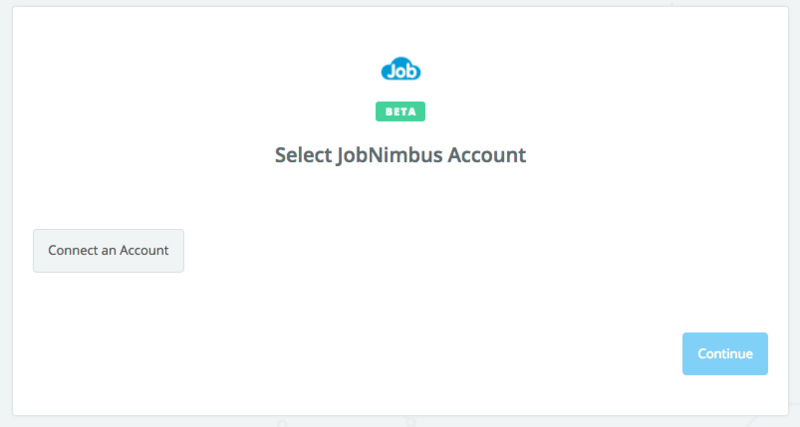 If all steps were successful your JobNimbus account will now be successfully connected.